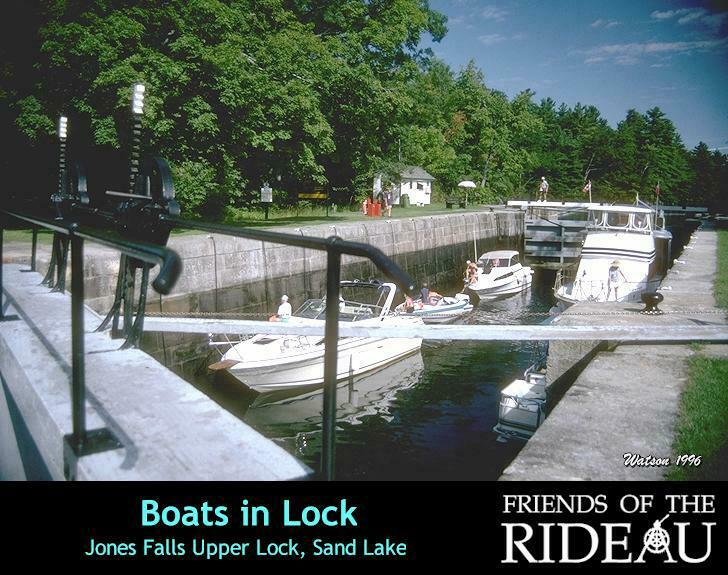 Boats in the upper lock at Jones Falls are being "locked down". Boats of every shape and size pass through the Rideau locks. The Parks Canada staff who operate the locks are always friendly and willing to lend a hand.